Video showing a woman losing her temper over a service dog inside a restaurant has burned up the internet. “You have an animal in a public restaurant!” the woman is seen screaming and pointing at a U.S. Army veteran and his Great Dane, a PTSD service dog. “It’s disgusting to have an animal inside a public restaurant!” she shouts. Tempers escalated as the woman argued with another patron. The veteran himself called for calm, but the fight wore on. The woman was eventually ordered out of the restaurant. Inside Edition spoke to the veteran, retired Master Sgt. Bill Austin, who served in Iraq and Afghanistan. He said he was shocked by the woman’s reaction to his service dog, J.P.
“We’ve never been screamed at like that,” Austin said. “I mean, we’ve had people ask us questions, or comments about the dog because he’s so big." His wife added: “But we’ve never had anybody get in our face and just scream at us." 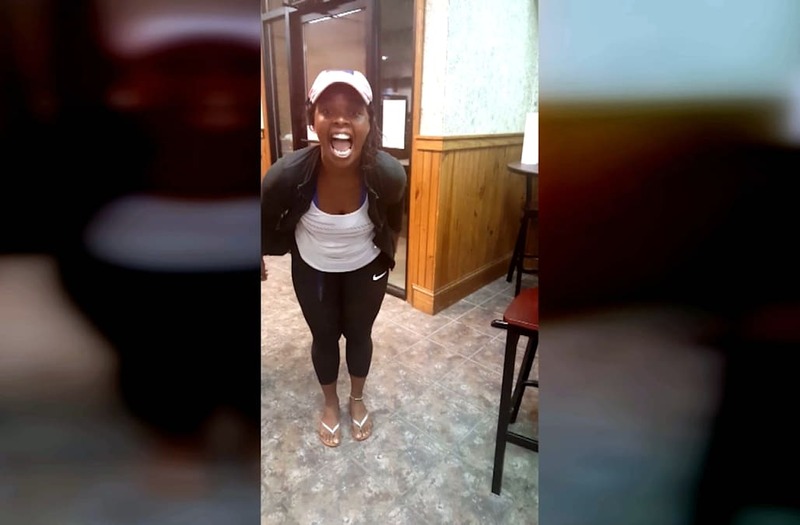 The angry woman in the Delaware seafood restaurant, who has been identified as Ciara Miller, told a local newspaper there is more to the story that what is in the video. She said she became upset after the dog’s backside came close to her. She also said she heard racial slurs directed at her, something Austin and his party firmly denied. “We had a mixed-race party in there. There’s no way, with having family like that, that we would call her something,” Austin said.